Here at the Anchor, we pride ourselves on delivering a great customer experience within our fantastic recently refurbished pub. Our staff are looking forward to serving you with our new fantastic range of drinks and substantial new menu of pub classics. We have everything covered. Enjoy relaxing in our bar trying our new cask ales whilst watching the live sports events, out on the external decking with a refreshing bottle of prosecco. Our new menu will certainly not disappoint and our various food offers will ensure you come back throughout the week. The little ones are catered for also with a children’s menu to keep them full and a large enclosed beer garden to keep them entertained. We can cater for all occasions and we can also offer a buffet service. Please view our buffet menu. 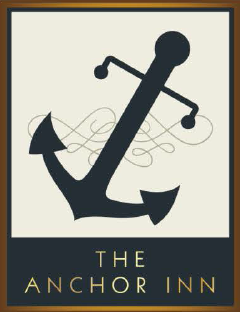 Like us on Facebook and sign up to our mailing to hear the latest news, live events and offerings at the Anchor. Pop in for any Future Positions.